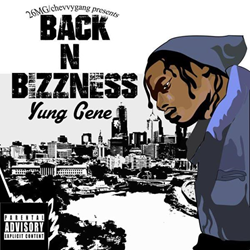 Fayetteville Recording Artist Yung Gene Releases New Mixtape "Back n Bizzness"
Coast 2 Coast Mixtapes announces the release of the new mxtape by Yung Gene currently seeking blog placements and interviews. Today Coast 2 Coast Mixtapes announces the release of “Back N Bizzness”, the latest mixtape by North Carlina Hip-Hop artist Yung Gene. The mixtape is currently available for streaming and download at the Coast 2 Coast Mixtapes website. Yung Gene is currently seeking press opportunities, interviews, features, and more. He can be reached through his official Twitter page.